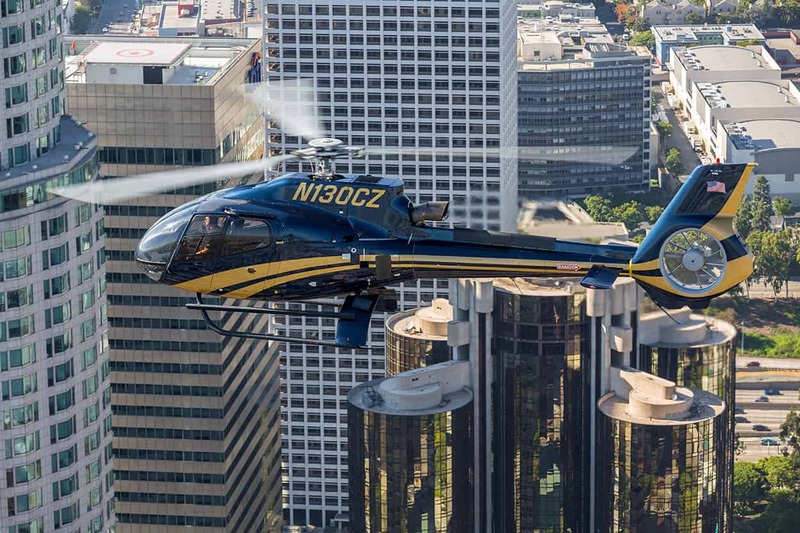 SOC member and Chair of the SOC Technical Standards Committee, Eric Fletcher, SOC had the chance to visit Helinet and speak with Kevin and Chad about the latest in aerial photography and their advice to operators working in the field. Here is a section of their conversation. Eric Fletcher, SOC: We’re going to talk about aerial photography. How’d you get into this space, Kevin? Kevin LaRosa: I was born and raised in aviation. I’m a third generation pilot, second generation aerial coordinator, and an aerial director. My dad’s also a stunt pilot for the movie industry. I started flying RC aircraft when I was eight years-old and took that into racing. I raced pylon racers. I raced at three-day aerobatic competitions, giant skill warbird competitions, and helicopter aerobatic competitions, so I was a big RC guy, including boats and cars. Eric Fletcher, SOC: You didn’t just limit yourself to rotary wing or anything like that? Eric Fletcher, SOC: As long as it travels through a fluid medium? Kevin LaRosa: Yes, I got into this because of my dad. My dad was big into RC his whole life. It actually started with U-Control, which is standing in a circle flying U-Control before there was anything RC about it. We built our own stuff, crashed our own stuff, and repaired our own stuff. That was always fun. Growing up in an aviation house where your dad works in the movie business–that is exactly all I wanted to do since I was a little kid and it’s what I do now. I effectively made that happen somehow. My family helped along the way, and I’ve got to give them a lot of credit for that. At a certain age, I was able to start working on set with my father as a ground coordinator, fuel truck driver, and support helicopter guy on the ground. I did that until I was about 18. I got all my fixed wing ratings and helicopter ratings when I was 17. I soloed at 16. Got both the fixed wing and rotocraft at 17, and I got jet typed in a Learjet when I was 19 just as a second in command. Eric Fletcher, SOC: Where did you learn to fly a helicopter? Kevin LaRosa: I learned to fly from my dad. Eric Fletcher, SOC: And what hardware? Kevin LaRosa: I learned in a JetRanger, transitioned to a LongRanger, and then an A-star, Twin Star, and everything after that. Eric Fletcher, SOC: All my trainings have been in a JetRanger. Kevin LaRosa: That’s awesome, we have a JetRanger at Helinet. That was my background. I essentially had to leave the motion picture business for a number of years because you can’t just be your father’s son. You have to develop your own hours, reputation, and experience for people to be able to trust you. What I do now is what I wanted to do. I knew the best way to do that would be to leave, and go and do lots of other aviation things before I came back. So I did that. Starting when I was 19 and 20, I flew jet charters all over Mexico, Canada, Alaska, and the U.S.
Eric Fletcher, SOC: You did it the hard way? Congrats. Kevin LaRosa: I upgraded to captain in the Lear when I was 23. I still fly Lears but now I fly them for the movie industry. I started working for Helinet when I was 24, and became the JetRanger captain and flew news. Then moved into the A-Star and stopped flying jet charters . Now I had plenty of jet time. It was time to build my helicopter time up, and I did almost all of that at Helinet. I was still flying A-stars and working on jobs for production, but I wasn’t really flying production. I was just building hours where I could. Then I moved through the ranks at Helinet, and flew for all the different news stations. I then moved into charter, and I started flying the twin engine helicopters. That was my career at Helinet. At a certain point, I got so busy I had to leave and just do production. Production was starting to become a real thing where I wasn’t just being fed by my dad, I started to develop my own name and reputation. I left Helinet and went on my own as an aerial coordinator, and aerial director as an independent, essentially doing the same thing my dad was doing. Segue way back to the beginning of Helinet. Helinet was developed, and built up by a visionary, a hero in the business, Alan Purwin. His wife, Kathryn, now runs the company. Helinet’s been in the aviation field for over 30 years and Alan worked on some of the biggest Hollywood movies. He was also an amazing entrepreneur who bought multiple companies and built them up, including SHOTOVER Camera Systems. They make industry-leading production gimbals. An unfortunate event happened that led to Alan’s passing. A year after that, Kathryn asked if I would like to come back to Helinet in a different capacity. My current role today is VP of Aerial Film Production. I’m back at the company that I used to be at building time. It sort of feels like I came home, but I came home doing what I wanted to do forever. Instead of just doing it as an independent, now I’m doing it at the company that felt like it was home before. Having the support and infrastructure of a company like Helinet is amazing. To digress, all of the RC flying I ever did as a teenager and as a kid, at a certain point in my early-20’s, I realized, “Well, drones are starting to become prevalent.” I guess it was my mid-20’s. I’ve got RC flying for years. Why not incorporate the full size aviation production work I already do and just bring in drones. There are guys starting to fly drones that have never flown them before. So, that’s exactly what I did. We started a drone company that we built. Now I have that through Helinet and, basically, taking all my experience and everything I’ve ever done in the drone field and RC field. That’s what we’re doing at Helinet. That’s why I have Chad Daring, a perfect segue into Chad, running with the torch in the drone field. Chad is an entrepreneur, had a very successful company, Daring Air. It was a partner with Helinet. I realized that in order to create the machine that I wanted at Helinet and help to be a driving force, I needed somebody like Chad. Kevin LaRosa: We’re all regulation. We know it. Eric Fletcher, SOC: So, you’re integrating those types of procedures with drones? Kevin LaRosa: We have 20 drones, and they’re all insured on our aviation liability policy. Helinet has a hundred million-dollar policy. It’s one of the biggest in the business. We’re a 20 helicopter operator. That’s a big liability to put your drones on that program. Because of that, we operate our drones with SOP’s (Standard Operating Procedures) and procedures that we feel are similar to full-size aviation, from maintenance pre-flighting and the actual way we fly on set. I think that we fly a little bit differently because we’re helicopter/airplane drivers. Even with Chad, one thing I recognized was his ability to operate the drone, standard operating procedures, safety record, and all that. It was something I knew we’d love to have. Eric Fletcher, SOC: We had Chad out for the SOC Drone Workshop. It was very interesting watching the way Chad flew and a couple of the other operators. There was one other operator, who you know well, who I also appreciate, is Nick Kolias. I have the benefit as a camera operator as I grew up around aviation. My entire family–other than my father, my brother and I–are all engineers. My uncle retired as Vice President of Boeing Military and put the Comanche program down. That was his last program, to kill Comanche and get out of it. I know partially where you’re coming from…and also to see what you’ve done and how you’ve done it, it is beyond impressive. With you bringing on the UAV’s..what do you prefer to call them? Chad Daring: I tend to prefer to call them UAS (Unmanned Aerial Systems), small UAS, but people know them as drones. I don’t mind saying the word drone, especially when people know what I’m talking about when I say it. But on documents, I’ll write UAS so that we’re clear about exactly…sUAS, that’s exactly what we’re flying. A small unmanned aircraft. Eric Fletcher, SOC: Now with this, you’re putting into place operations of a full-sized provider. How is that different from what you’re seeing, or what you used to do, or what other people are doing? Why is that the better way of doing it? Chad Daring: Coming from an aviation company, prior? Eric Fletcher, SOC: Yes. How does that change the way you’re approaching your daily work versus what you used to do? Chad Daring: It’s kind of the same in the sense that my business practice with Daring Air was to provide a service on set that was at the same level as every other solution on set that I’ve grown up around on set such as a Technocrane, or a Steadicam, or any camera solution. To provide it with that same amount of reliability, and execution, and having the appropriate crew members involved as far as experts in the field such as an aerial director of photography. This person is moving a camera on the drone. There should also be a camera operator at least, or an aerial director of photography. Those were the principles I had at my business because it was something that when I decided to get into that business, I felt like that was the only thing I could provide to the producers was a product that they’re familiar with. With Helinet, it’s the same. Much of my coming to work here, and them having me, I think, was we were on common ground with our values. Safety, legality, having the right personnel, the appropriate personnel to show up and do the job when we’re expected to do it, have the equipment ready to work when it’s expected to work. I’m just continuing on the same path just with a bigger truck. Eric Fletcher, SOC: When you get called by a producer or director of photography and they say, “I want do some aerials,” what is the process that you all go through, especially if you’re deciding where it might be a job that might be able to cross over to full size versus a UAS? The first thing is to hear what they want to do, and then we suggest the platform. We suggest the platform based on a few things. Like I said, city ordinances, or if we have to do a shot coming from three miles off shore coming in, well–we can’t take the drone that far, line of site issues. But they also want the drone to pull right up to an actor. We can’t take a helicopter right on the beach full of non-participants. We’re going to blow sand and the downwash. Sometimes we find production companies will have to figure it out on their end. “Okay, maybe we’re not going to go as far. It sounds like it’s more important to have…” Where’s the priority? Does the drone come right up on the beach and move right up to the actor? Or…it’s this huge scene and they want speed and energy, and they’re going to say, “Just use the lens.” We actually end up giving them the options. We let them choose as a customer. I don’t like forcing it. There could be a financial issue. It might be more economical to use a drone. We just tell them what their restrictions are. The best part for us is we are a full-size operator. You’re not just calling a helicopter company and we’re going to trash drones because we want the work. And we’re not a drone operator that’s going to say, “No, no. 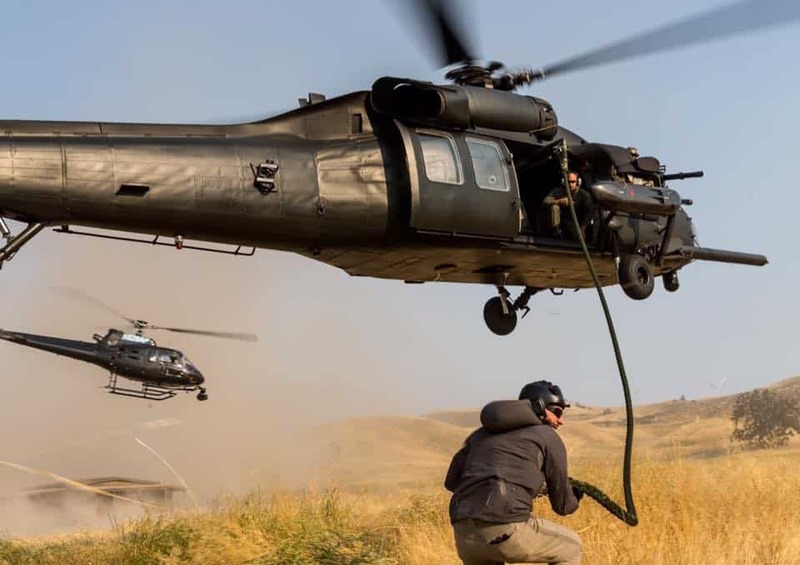 You don’t need a helicopter.. They’re burning fuel.” The beauty when they call Helinet, or Kevin LaRosa, or Chad Daring, is we can literally give them either platform that will work. We can give you a quote on both. There’s a lot of times we actually do that. They say, “Well, give us a quote on the helicopter. Give us a quote on the drone.” That’s what we do. That’s kind of fun. 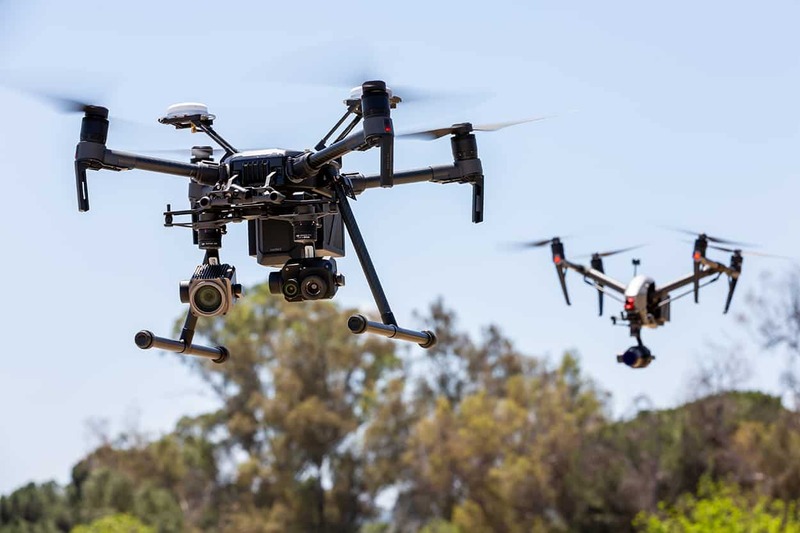 Eric Fletcher, SOC: As drones start overlapping to full size, how do you see operational differences between the way you’d operate as an aerial coordinator for a full size helicopter versus a sUAS? 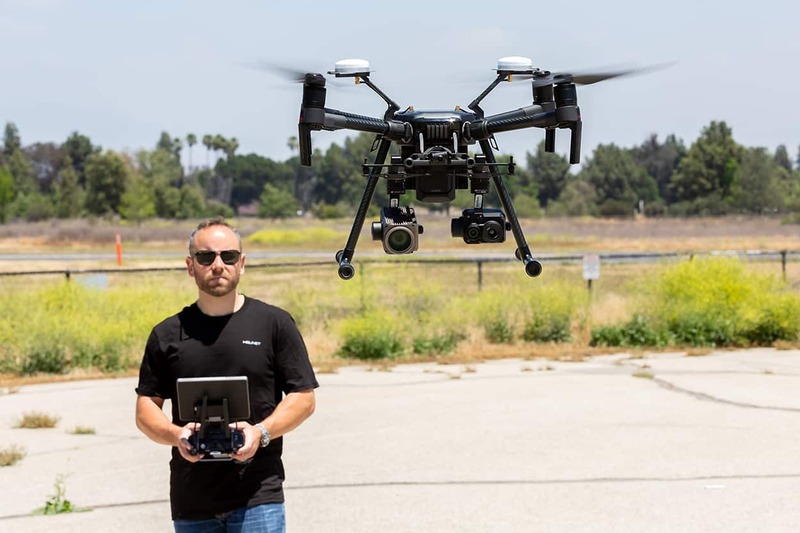 Kevin LaRosa: Well, from a camera pilot, not even as an aerial coordinator, just operating the helicopter or the drone, I think as the envelope expands, there’re two things that are going to happen. One is automation. Being able to sit there as a pilot and direct the path via a tablet, and being able to record that move and change it. That ability is like having a Technocrane, or a Spidercamera, or something similar. That technology is going to expand and make drones more attractive than they already are. Eric Fletcher, SOC: You also have the ability to recreate that flight now for effects. Kevin LaRosa: In that type of precision. That’s one side of the expansion. The other side is the FAA expanding what we can do and where we can do it. Chad is the guy that leads working with the FAA to expand Helinet’s own exemptions. They’re going to start, and they’ve already done it now, where we don’t have to have line of sight. There’s a waver we can get where we have a visual observer watching the drone. Sometimes I need to be in the helicopter so I can have depth of perception to miss a tree, to miss a mountain that’s way out there. Well, now we have FPV (First Person Video) monitors. I’ve even put back up cameras on drones so I can back all the way up on a run. Chad’s working on something all the time, which is airspace. The FAA is coming up with solutions to let us get quicker waivers and COA’s (Certificate of Waivers or Operations), and work closer to airports than we were before. That’s huge. Eric Fletcher, SOC: So it’s no longer an issue with a DP of what can you get, “Okay, I want to fly an ALEXA so I have to fly a big bird” versus, “I can’t fly a UAS,” which all went away now. Kevin LaRosa: Yes. Helinet actually has a lot of their own cameras now, too. We can put a Helium up there that’s 8K. Kevin LaRosa: Yes, the Monstro. We have a Gemini as well. It’s sort of endless. You’re more limited by the glass. Eric Fletcher, SOC: Because you just said you have your own cameras now, Helinet is basically an end user solution? You provide everything top down? Kevin LaRosa: We can be, but we never force that. Someone could call and say, “Listen, we have our own gimbal and camera, and we need a helicopter.” Fantastic. That’s what we do. We’re a service provider. A production company could call and say, “Well, we need everything or else we’re going to have to go run it.” At that point, we’re pretty self-sufficient. Eric Fletcher, SOC: Because there are a lot of aerial providers that say, “We are a pilot and operator team.” Say you guys come into a feature and the DP wants the show’s operator to operate. What are your feelings about that? Eric Fletcher, SOC: There is an example of this push back. A film being shot in New York City. The director wanted his operator to operate the shot. The aerial provider said, “Absolutely not. He’s not going to operate the shot.” And in the end the aerial provider’s operator did the shot but it didn’t go well. Kevin LaRosa: I think the reason that happens is drone operators become a little possessive over their field. That’s how they make their money. 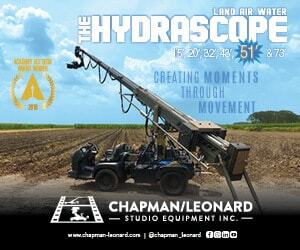 Equipment rental and the actual service is being paid by the production. I think because we come from the full size aviation and so much time working on set, we know that DP’s have their team of operators and people that they trust. They’ve been through blood, thick and thin, all over the world working together. They have that relationship, and they’re professionals. Who are we to say, “Your guy is not qualified to operate a gimbal head,” that would be ridiculous. Like I said, most of the time, give us the package and give us the best you’ve got. In the rare circumstance that they say they want to operate, that’s great. We’ll make sure you have stick time on it, and you feel comfortable with it, or whatever it’s got to be. Eric Fletcher, SOC: If you had an opportunity to talk to every operator on the planet and say, “This is what helps us,” what would that be? And ask what they can provide to help you? Kevin LaRosa: I’m sure you have one. The one that I would stress, because we hear this, and it’s not knocking anybody. It’s a good lesson that maybe I would’ve done in the past, but someone told me and I’m careful about it now. An aerial team, whether it’s drone, helicopter, jet airplane, we’re just a small piece of the pie. Normally, you’re called for a little sequence, and you’re there for a day or two, or maybe a week. But these other people are on the movie for months. They’re very invested. They’re all friends. They’re working with each other, and they have a workflow. When a contractor, like an aerial service provider or drone crew, shows up, a lot of times what we hear in the industry is that they just think they own the set. Everybody needs to stop doing what they’re doing and pay attention. I get safety. When a helicopter shows up, I love when everybody is involved in a safety meeting and pays attention. But we’re just a small piece of that pie and we’re integrating into production. My advice, with all that said, is just remember that this is a big wheel, and there’s a lot of people pushing, and you’re just one piece of it. Our job as service providers is to figure out how integrate into what’s already setup. There may be workflows. They may work fast. They may work slow. There are certain things you have to figure out to come in there a be part of the team instead of just dropping the hammer and saying, “This is how it is or the highway.” Unless it’s safety. That’s different. Eric Fletcher, SOC: You’ll never get an argument from us about that. It’s basically fold in, become part of the team, and understand that you’re a guest? Eric Fletcher, SOC: How does the workflow change from say, an Inspire 2 to a heavy lifter? What is the different steps of those? If they wanted to break out these are points to remember when you’re using an Inspire 2. These are points to remember when you’re using a heavy lifter. Chad Daring: Solutions like the Inspire 2 have a lot less moving components on them. Therefore, there are fewer things to do for personnel such as your support team, 2nd AD, 1st AD, for instance. There are more moving parts with a larger drone, and it’s typically carrying a cinema camera with a lens that requires FIZ and video downlink. All those components take attention from an individual just as assistants on a camera. All of those components need time just like a camera setup. Therefore, there’s a bit of patience involved in prepping the UAS for a shot. It’s still a quick solution when looking at how much time a drone is on a set and flying; it’s pretty insignificant as far as the footprint it can have. The drone can be set up on the side, then carried onto the set. Then you go through your camera settings. When you have to change a lens or a filter, those kinds of things take a bit of time. The Inspire 2 is a solution that is much faster, but then there are compromises with that as well. Eric Fletcher, SOC: Well, it’s not nearly as good in low light. Chad Daring: Yeah. Then as far as the drones themselves, there’s flight times. There’s different levels of considerations to have. I’d say that the biggest one is really the one that people probably misunderstand when going into a heavy lift, or medium lift drone shoot is that there is a little bit of camera setup time that is expected with that type of camera. The drone doesn’t require as much setup time itself, but the camera does. Eric Fletcher, SOC: We’re never going to be as fast as hand-held. Eric Fletcher, SOC: But a UAS is also going to be faster than a full-sized bird. Eric Fletcher, SOC: : Not that it’s bad or good. Kevin LaRosa: Well, this is interesting. As far as prep, yes. There’s a lot that goes into putting a camera system on a helicopter and getting it signed off by a mechanic. What’s interesting is where a helicopter may be faster and more efficient on set does exists quite often. You think of a helicopter having two hours and 30 minutes of fuel onboard, well if you’re out shooting surfing, or you’re in a big action sequence and you’re doing multiple, multiple takes, it’s frustrating for productions with drones to have to land and change batteries. We’re subject to what technology is available right now, and batteries will keep getting better, but it takes time. Having to work with the first or second AD going, “Hey, in three minutes if we don’t go, we’re going to change batteries.” A helicopter can sit there for hours. That’s never a problem. We run out of media before we run out of fuel. Eric Fletcher, SOC: : And generally, if it’s a longer scene, the dash time from the end back to one is going to be faster on a full-size than a drone. Kevin LaRosa: Yes. Well, we’ll have to land and swap batteries. It just depends. A lot of times with drones…our drones are hot swappable. Even our bigger systems. We’ll power a system up if we’re ready to go. When we were on Transformers 5, or Spiderman our stuff is ready to go. As soon as that action call happens, we go with a fresh set. We never power down. All the GPS positions, all the return home, all that’s done. We’re just going to put a fresh set on, never power it down, and we’re in the air. We keep things ready when we have to. You get that action call, “Get that thing in the air. We’re ready to go.” Sometimes it’s not a lot of time. Eric Fletcher, SOC: I guess the takeaway is a drone is a Technocrane with no base and an infinite arm. Kevin LaRosa: It’s a pretty awesome tool. I see the value in it, Chad does, and Helinet does. We have an East Coast office, too, in Atlanta. I think what Chad and I would love to see this place grow into in five years as far as UAS drone provider is huge. That’s what we’re working towards, because it is an extremely viable platform that’s being perfected every day. Eric Fletcher, SOC: Well, you are doing the right things and making the investment into providing the solution with no excuses. It sounds like when you show up, you’re boom. You’re into the scene. Kevin LaRosa: It took hiring the right people to make the company. It’s not the other way around. Eric Fletcher, SOC: In other words, you can have the best equipment on the planet, but if the people can’t do it, it doesn’t matter. Eric Fletcher, SOC: Where would you like to see everything go in five years? Kevin LaRosa: For Helinet or the industry? Kevin LaRosa: Well, it’s a good question. Obviously, we want to see the expansion of both platforms, because I think they both serve a purpose. I’d like to see drones keep building at the rate they’re building, and I’d like to see the FAA keep expanding what’s possible. As far as the industry is concerned, we’d absolutely love to see some of the states running with these tax programs. We’ve seen a lot of work coming back to California. It’s our home. We have an office in Atlanta and it’s still pretty busy, but it was really busy in Atlanta for a long time. Now we’re seeing a lot of work come back to LA. That’s really nice. We’d like to see that continue to grow. Eric Fletcher, SOC: I really think that the professional drone space should be handled more as a professional aviation space. I think there’s too many people that are trying to skirt the law. What happens when a production asks you to do something that’s not in your waiver, that’s not possible, that’s not safe? 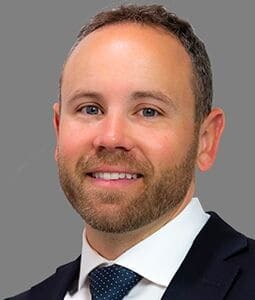 Kevin LaRosa: It’s what I hope anybody else in our business would do. You say the magic word, “No.” You say, “We’re unable to do that, but here’s what we can do legally.” We’ve been doing that since day one. We do that with full size aviation and, again, our drone program is built under our full size aviation program. So, if we’re skirting rules and regulation with the drone operations, then I’m putting a 70 employee company at risk with 20 airframes and contracts, just because we wanted to skirt something or mess with something. They’ve hired you for a service, and if you go out and cause a major accident on the freeway because you decided to dodge in between cars without shutting it down, production is going to be in a world of trouble. You are, too. At the end of the day, we’re keeping you safe. Eric Fletcher, SOC: Can we talk about the jet? Eric Fletcher, SOC: It’s so cool. So is the Moviehawk. Kevin LaRosa: In the aviation and production realm, I want to create as many tools, whether they’re picture aircraft or camera aircraft, as possible, and be as diverse as possible. That’s part of being a one stop shop, or knowing productions can call Kevin LaRosa and get what they really need. Really quick on the MovieHawk. That came about because we’ve been using Hueys. I’ve been watching my dad flying Hueys, and I’ve been flying Hueys for years on movie sets, but productions want the latest and greatest. You have to get Department of Defense approval, and submit your script, and get a bunch of revisions. Well, production companies don’t want to do that. 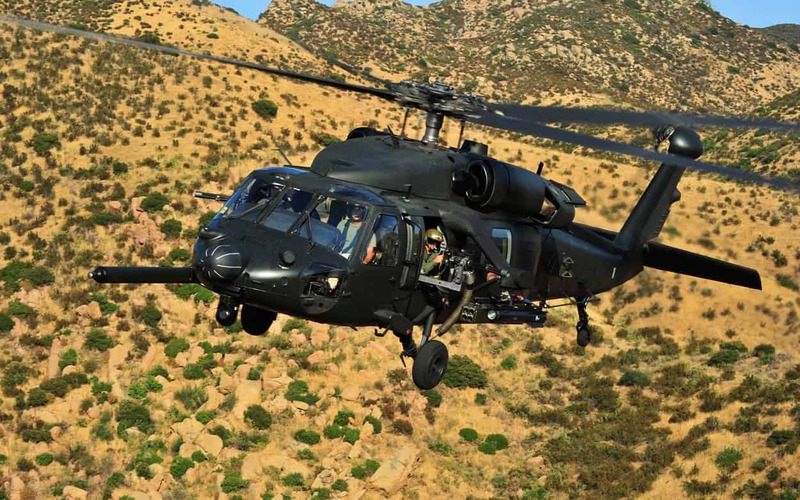 Now I have access to a BlackHawk that’s specifically made for the motion picture business. That’s here at Helinet. That’s a piece of cake. They call up, they don’t need any DoD approval. It was a big mission to get that done, I’ve been wanting to do it forever, and we made it happen. I’ve been flying jet based platforms my whole life. 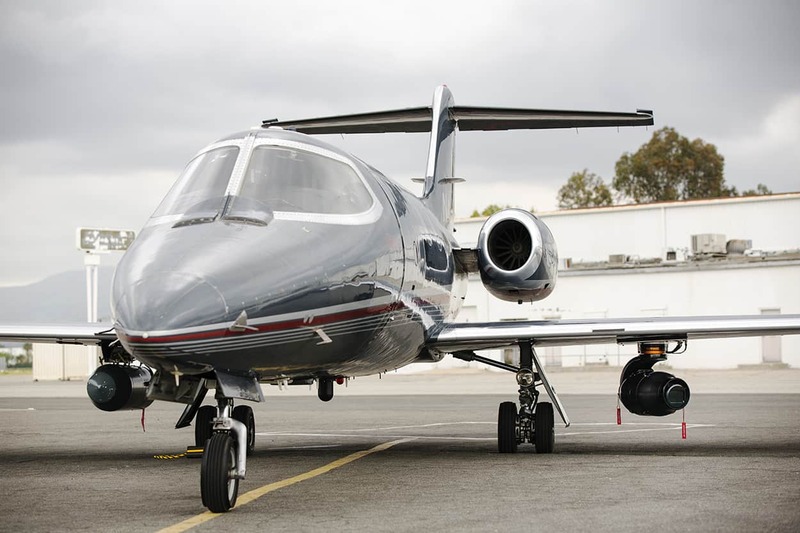 I wanted to build jet experience, not so I could be a charter pilot my whole life, but so that in five or six years I can have 2,000 or 3,000 hours of jet time and fly camera jets. I’m drone, airplane, jet, helicopter, the whole thing. Eric Fletcher, SOC: Honestly, I can’t think of anyone I know that’s like that. 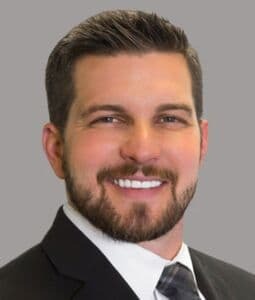 Kevin LaRosa: I started at 23 years-old flying for a great family friend and company that’s now a partner of Helinet and that’s Wolf Air Aviation. Eric Fletcher, SOC: He flew most of the James Bond stuff, or he used to. Kevin LaRosa: They’ve always been a close friend of mine. I still fly their airplane. In fact, I’m flying that Learjet tomorrow. 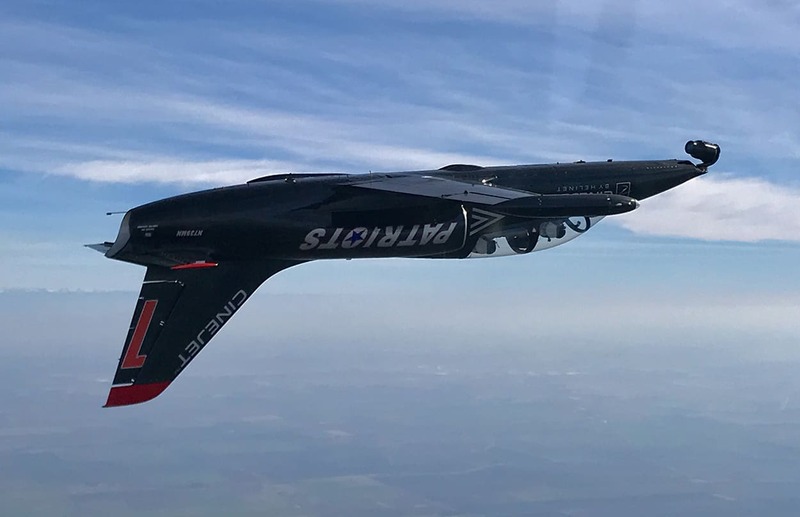 Helinet integrated the SHOTOVER F1 under the wing of their Learjet. Its another platform we can fly a SHOTOVER on, which is amazing. We can fly a 25-300 Fujinon lens on there and have full stability. That’s one of the things we did. We also made the Cinejet. I always wanted to have, basically, a fighter jet with a camera system, a stabilized camera system. The Learjet is awesome. It has its purpose. Just like my drone diagram, a drone can do this, a helicopter can do this. The Learjet can do this, but we can’t do aerobatics. We can’t go up to the top. We can’t do loops. We can’t do the speed and the stuff I want to do. Eric Fletcher, SOC: What are the airspeed limitations on the 39? Kevin LaRosa: With the F1 installed it’s 350 knots and plus 3G. Kevin LaRosa: That’ll pretty much get you wherever you want. You can whip around with F-15’s and F-16’s. Here’s the funny thing about camera movement and airplane movement. You put an F-15 in a 3.5G turn doing 500 knots, it doesn’t look good. It’s covering a ton of ground and it’s turning pretty flat. It’s got a bunch of airspeed on it. But if you put an F-15 in a 3.5G turn at 250 or 300 knots, it’s dragging the backend and it’s looking like it’s yanking harder than it really is. The speed limitation actually works in your favor for camera movement, because it looks like these things are little more radical than they are. Eric Fletcher SOC: My favorite with an F-18 is a high alpha pass, because the bird just looks incredible. Kevin LaRosa: That helps us out because we are speed restricted at 350. Of course, one day I want to go 550, and then … You can’t ever stop. With my dad, when I grew up, if you’re not growing, you’re dying. If you’re not ever pushing the boundaries, then you’re dying, you’re losing. I think we did a good job last year. Starting this year off we’re kind of pushing the boundaries of some great equipment. It should be a fun year. Eric Fletcher, SOC: Thank you, guys! Appreciate this interview. Eric Fletcher, SOC a native of St. Louis, Missouri, started in the film industry in the early-80’s as a camera assistant and then moved up to operator. Along the way, Eric was a DP on over 4,000 political commercials, along with operating on many TV movies, features, and TV Series. During his career, Eric has been at the bleeding edge of the move to HD production and beyond, as he participated in the first live demo of analog HDTV transmitted via fiber optics. 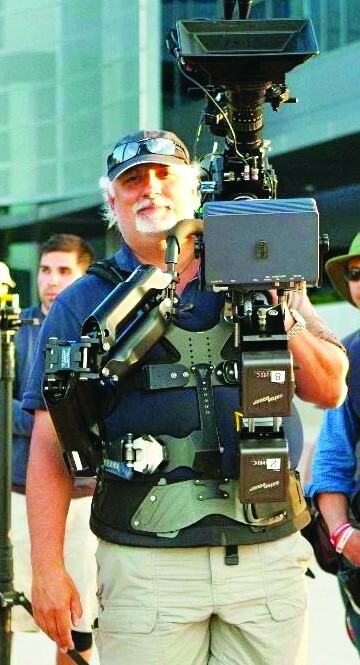 Presently, Eric is a full-time camera operator/Steadicam operator, and is honored to serve on the Board of Governors for the SOC, and is also the chairman of the Technical Standards committee, where he leads the jury that decides the SOC Technical Award winners.